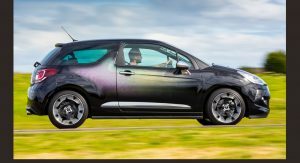 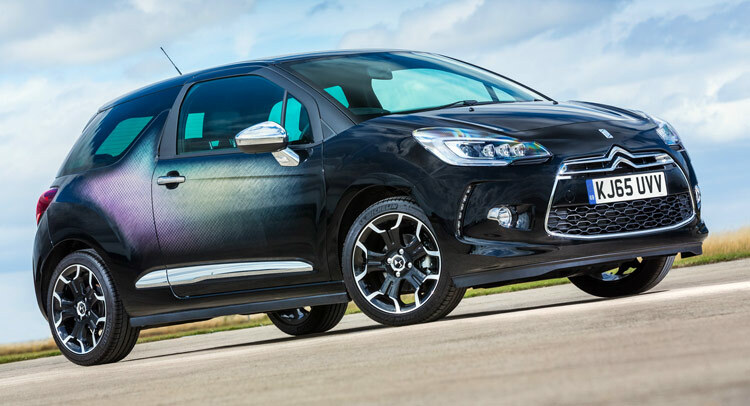 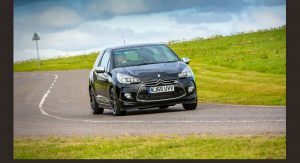 Citroen’s newly found DS brand has churned out a production version of their vinyl-wrapped DS3 display model from this year’s Goodwood Festival of Speed. 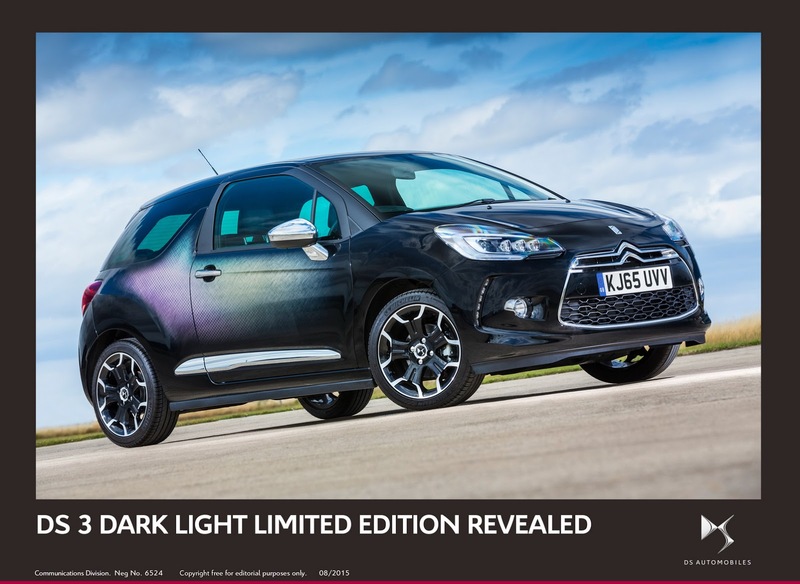 It’s named ‘Dark Light’ and will be limited to 300 examples in the UK priced at £20,795 OTR. 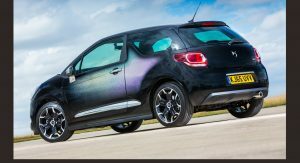 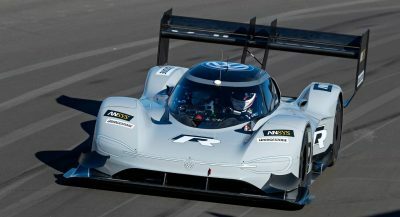 It combines a Perla Nera Black metallic bodywork with unique clear-backed metallic vinyl wraps along each side of the car, with the French firm claiming that the “highly durable vinyl material is scratch resistant and can with stand mechanical car washes, pressure washers and fuel spills”. 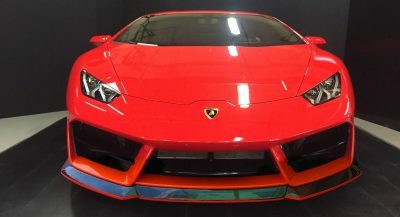 It doesn’t say for how long the wraps will last. 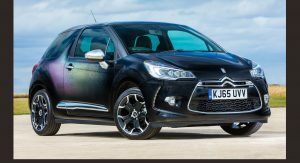 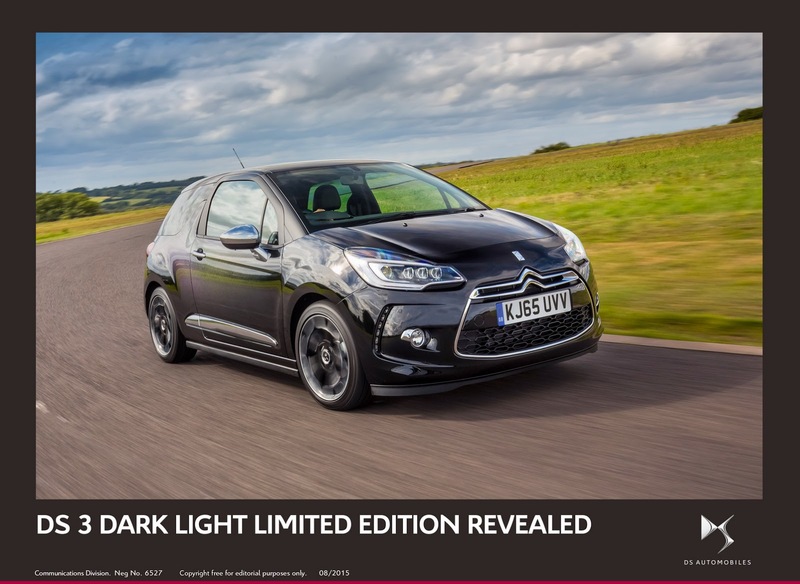 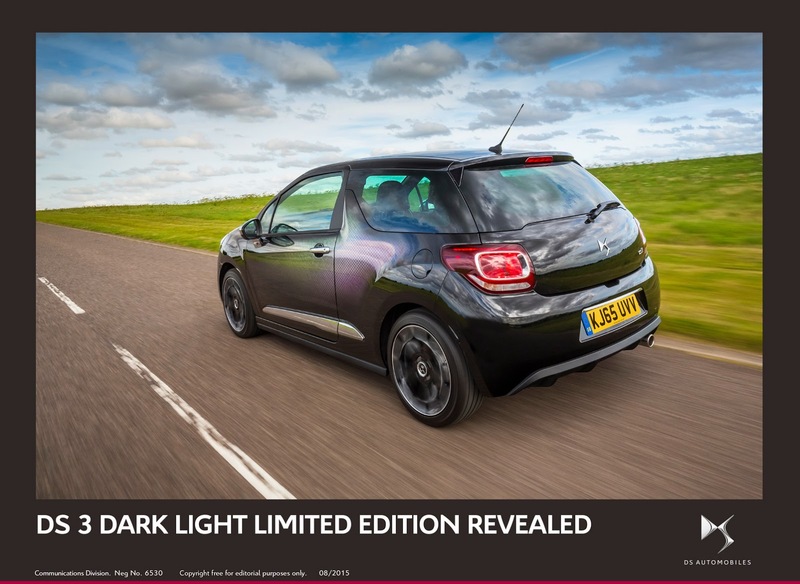 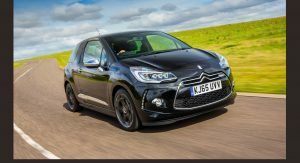 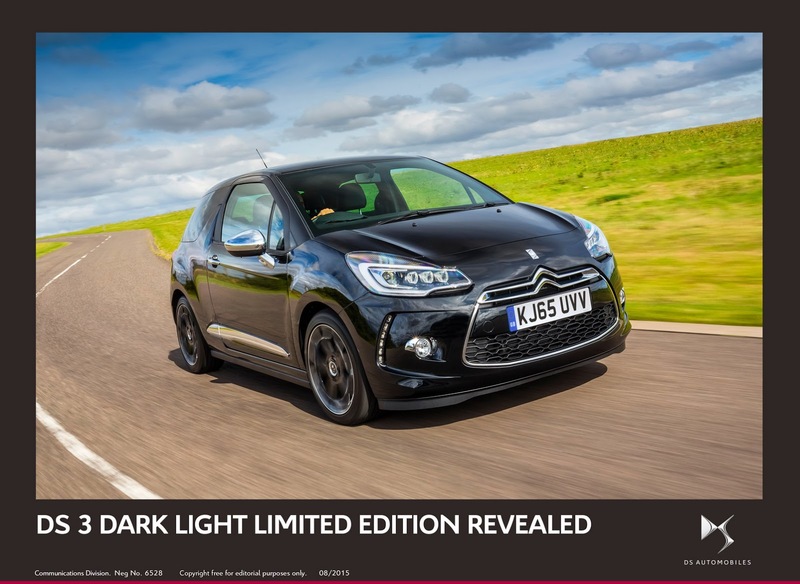 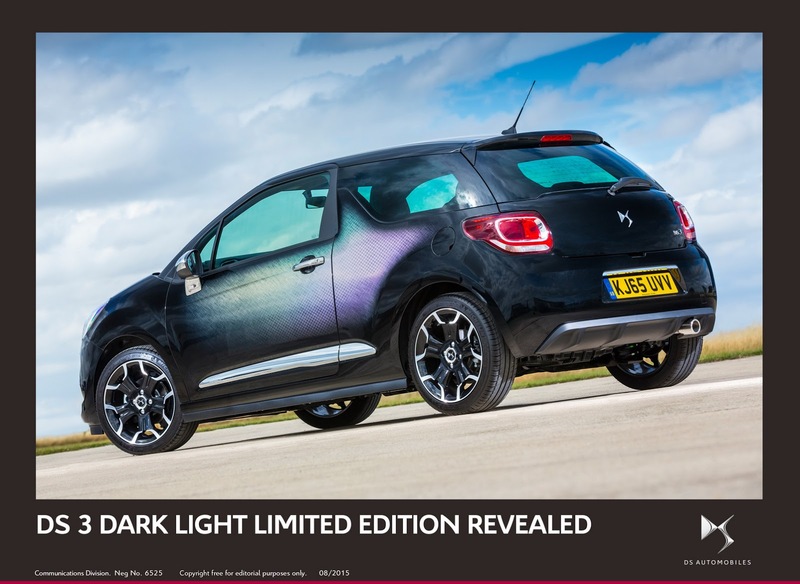 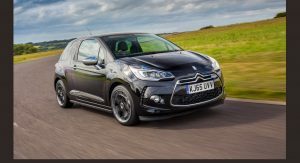 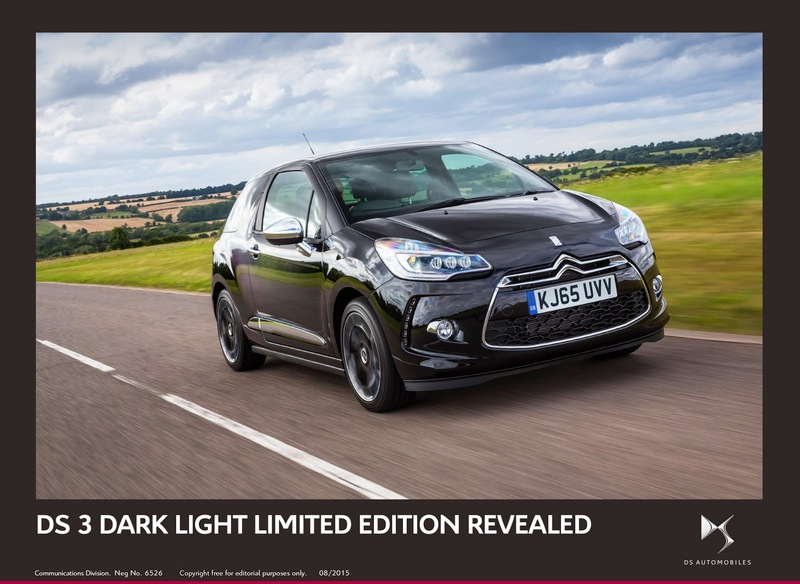 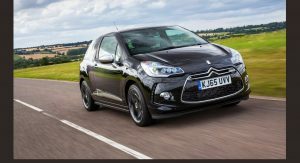 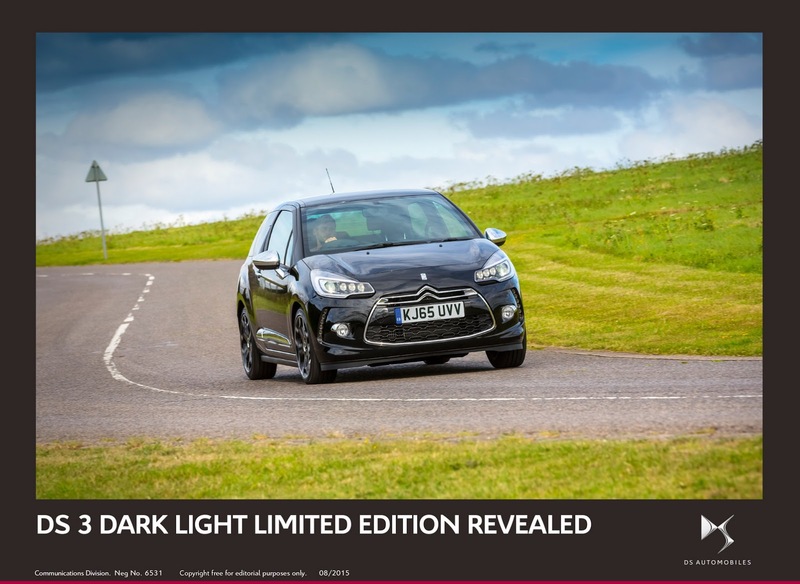 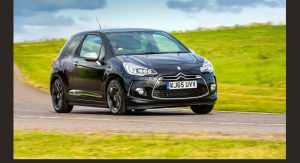 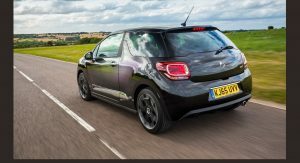 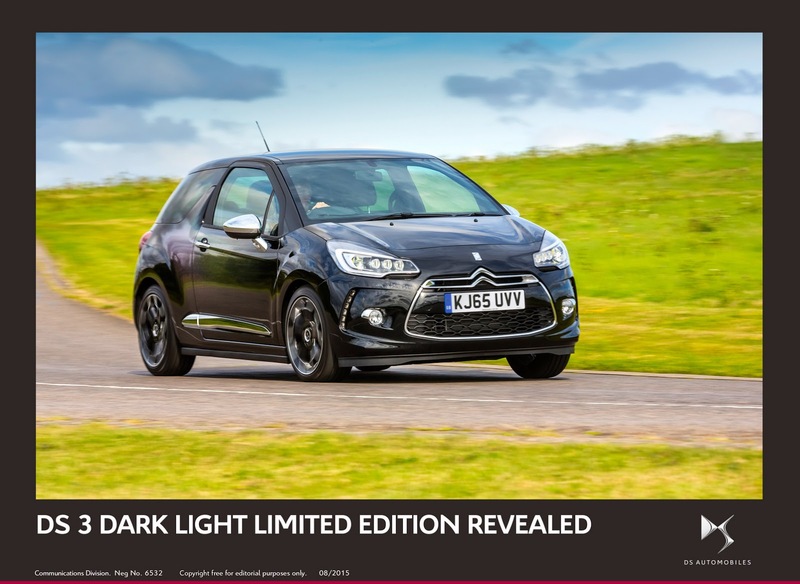 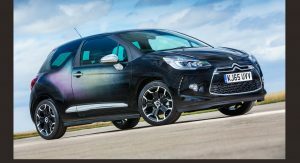 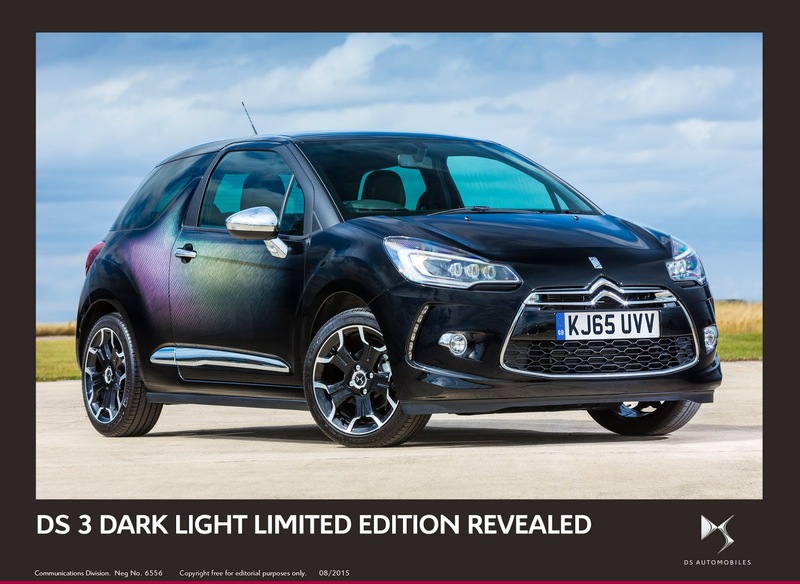 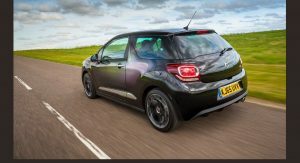 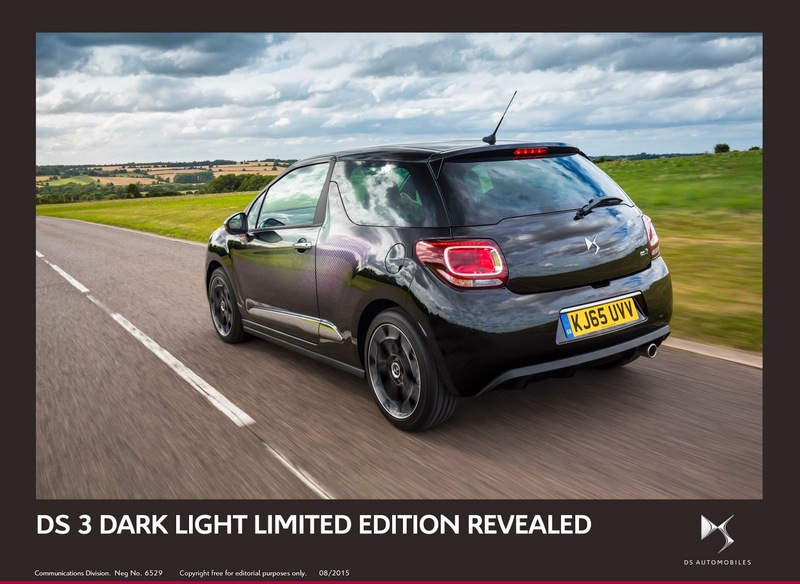 The DS3 Dark Light is based on the DStyle Nav trim level with an 110PS (108hp) petrol engine paired to a 6-speed automatic, adding a few extra touches on the outside such as LED headlights, 17-inch diamond-cut alloy wheels, chrome door mirrors, and edition-specific badges. 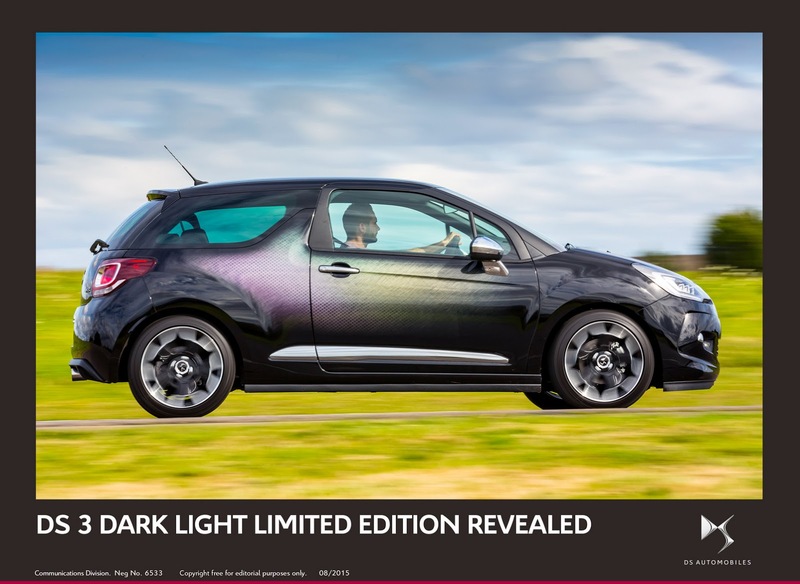 Interior upgrades over the DStyle include sport seats, front armrest, black leather cabin package, Conveniences Pack, aluminum pedals, and ‘Dark Light dashboard badging.